If you have been waiting on a suitable upgrade for your iPad Air 2, you are in luck. 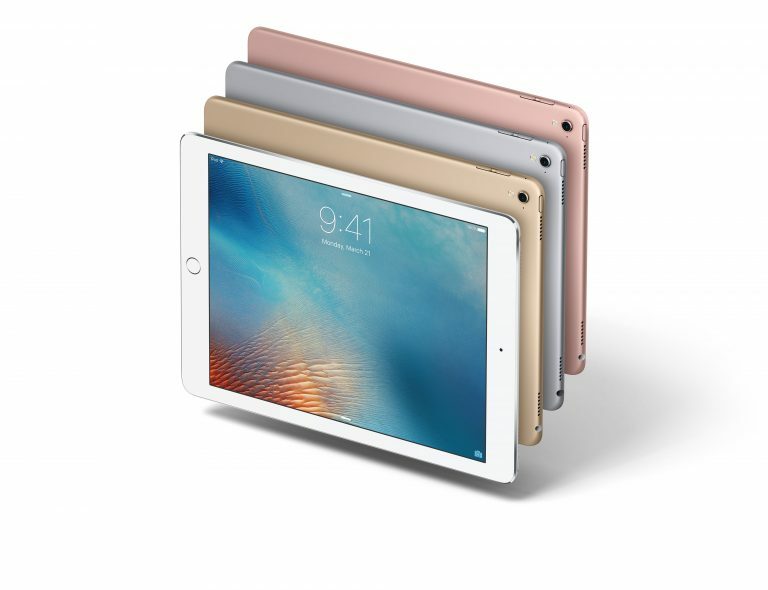 The iPad Pro 9.7 is a brand spanking new tablet device from Apple which sports a 9.7-inch touchscreen display. The Apple iPad Pro 9.7 takes elements from the original iPad Pro and improves upon them to produce a very compelling package. We have hand-picked the best cases/covers available for the latest entrant in the table device space. 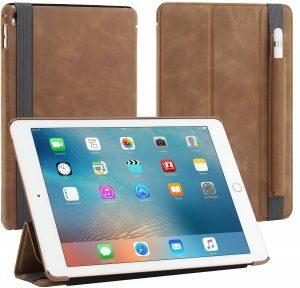 Listed below are the top 10 best Apple iPad Pro 9.7 cases and covers. 1. 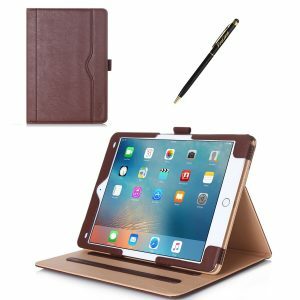 StilGut Couverture Apple iPad Pro 9.7 Genuine Leather Case: The StilGut Couverture Apple iPad Pro 9.7 Genuine Leather Case is the most premium and luxurious case you could get for the iPad Pro 9.7. The case is handcrafted from genuine leather, and, features an Apple Pencil holder, functions as a flip stand and supports smart auto wake/sleep function. The StilGut Couverture Apple iPad Pro 9.7 Genuine Leather Case is available in 7 beautiful colors to choose from. 2. 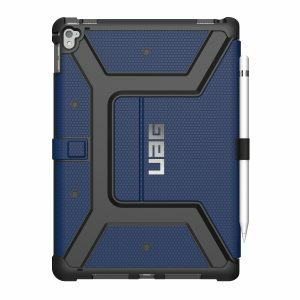 Urban Armor Gear Apple iPad Pro 9.7 Case: The Urban Armor Gear Apple iPad Pro 9.7 Case offers top notch protection in a lightweight package. The case meets military drop-test standards and features an adjustable/detachable stand. 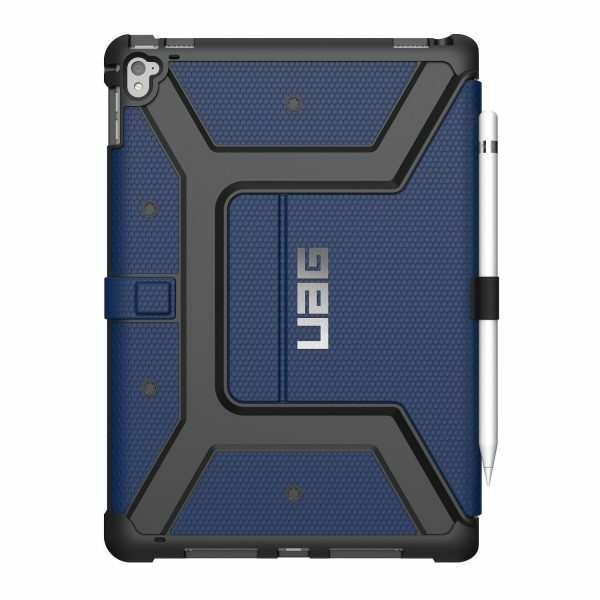 The Urban Armor Gear Apple iPad Pro 9.7 Case is available in 3 colors. 3. 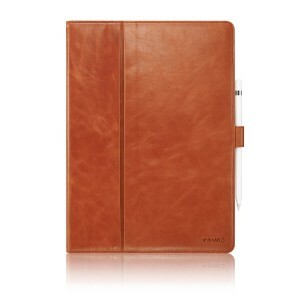 Kavaj Apple iPad Pro 9.7 Leather Case Cover: The Kavaj Apple iPad Pro 9.7 Leather Case Cover is a luxurious case made from genuine leather. 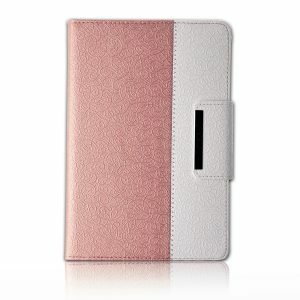 The case includes a document compartment, stylus holder and a stand that provides two viewing angles. The Kavaj Apple iPad Pro 9.7 Leather Case Cover is available in 2 colors: cognac brown and black. 4. OtterBox Defender Series Apple iPad Pro 9.7 Case: If protection is your top priority, the OtterBox Defender Series Apple iPad Pro 9.7 Case is just for you. The OtterBox Defender Series Apple iPad Pro 9.7 Case offers triple layer protection to your device from drops, bumps, shocks, scratches, dust etc. The built-in screen protector guards against scratches on the display. The OtterBox Defender Series Apple iPad Pro 9.7 Case is available in only 2 colors. 5. Snugg Apple iPad Pro 9.7 Leather Cover: The Snugg Apple iPad Pro 9.7 Leather Cover is made from high quality PU leather and gives you peace of mind with its lifetime guarantee. The case features a built-in multi-angle stand, stylus loop and an elastic hand strap. The Snugg Apple iPad Pro 9.7 Leather Cover is available in 11 different colors. 6. Devicewear Ridge Apple iPad Pro 9.7 Case: The Devicewear Ridge Apple iPad Pro 9.7 Case is made from vegan leather and looks beautiful. The case supports a whopping 6 viewing positions, smart auto wake/sleep function and sports an Apple Pencil holder. The Devicewear Ridge Apple iPad Pro 9.7 Case is available in 3 colors. 7. Supcase Unicorn Beetle Pro Series Apple iPad Pro 9.7 Case: The Supcase Unicorn Beetle Pro Series Apple iPad Pro 9.7 Case is impact resistant, shock proof and protects your device from drops, bumps and shocks. The built-in screen protector guards the touchscreen against scratches and the built-in kickstand is a great addition. 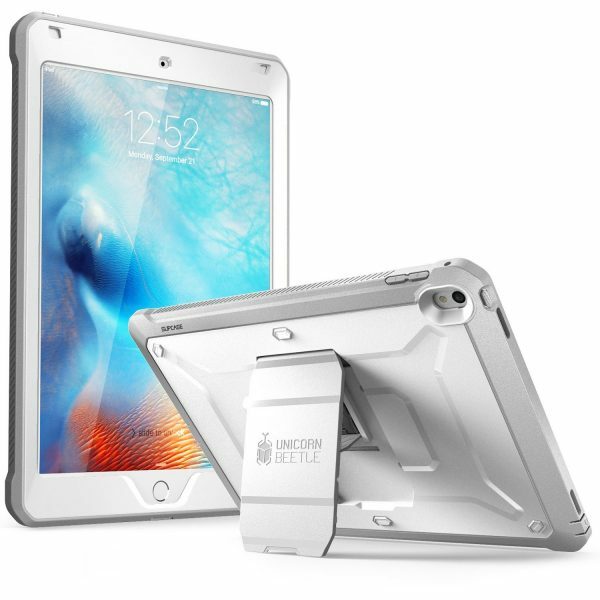 The Supcase Unicorn Beetle Pro Series Apple iPad Pro 9.7 Case is available in 3 colors. 8. 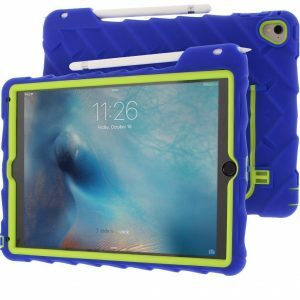 Gumdrop Cases Apple iPad Pro 9.7 Case: The Gumdrop Cases Apple iPad Pro 9.7 Case is a rugged and durable protective case made from silicone. The case offers all-around protection to the iPad Pro 9.7 and the built-in multi-angle hideaway stand is very convenient. 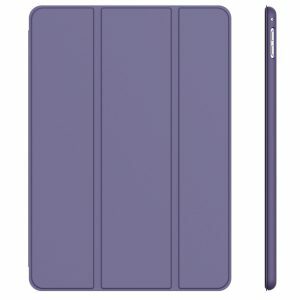 The Gumdrop Cases Apple iPad Pro 9.7 Case is available in 3 colors. 9. 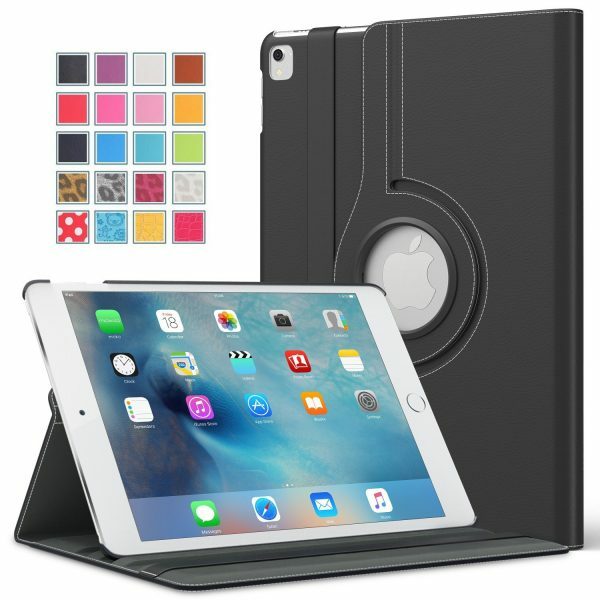 ProCase Apple iPad Pro 9.7 Leather Case Folio Cover: The ProCase Apple iPad Pro 9.7 Leather Case Folio Cover looks great and features everything you would expect in a good tablet case. The features include a multi-angle stand, document pocket, magnetic closure and an Apple Pencil holder. 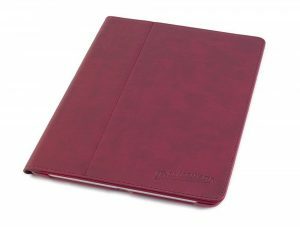 The ProCase Apple iPad Pro 9.7 Leather Case Folio Cover is available in 4 colors. 10. 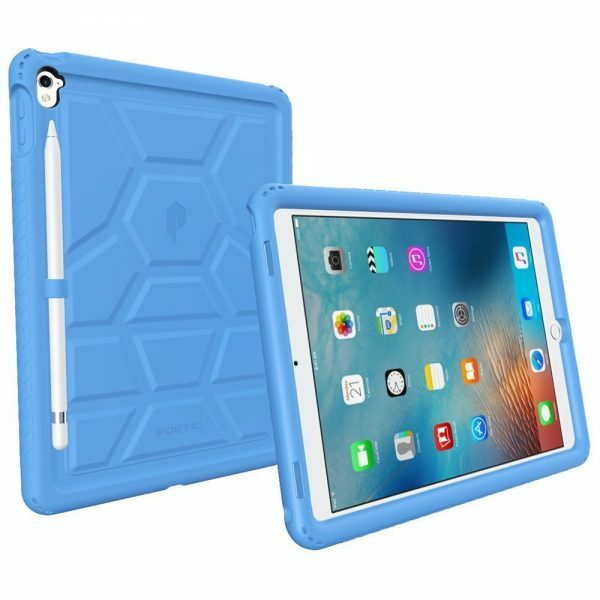 Poetic Apple iPad Pro 9.7 Rugged Protective Silicone Case: The Poetic Apple iPad Pro 9.7 Rugged Protective Silicone Case amazes you with the amount of thought that has gone into its design. Be it the side grips, or, shock absorbing corners, or, the rear turtle shell design, or, the sound amplification and air vents. The Poetic Apple iPad Pro 9.7 Rugged Protective Silicone Case is available in 5 colors. 11. 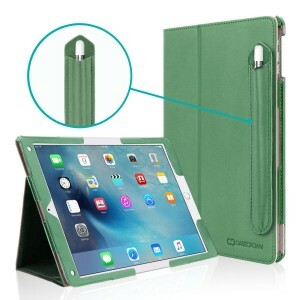 Thankscase Apple iPad Pro 9.7 Wallet Case: The Thankscase Apple iPad Pro 9.7 Wallet Case is a very good combination of attractive looks and features. The wallet case features an hand strap for secure grip, a storage pocket, a 360-degree rotating swivel and smart auto wake/sleep. The Thankscase Apple iPad Pro 9.7 Wallet Case is available in 5 different colors. 12. 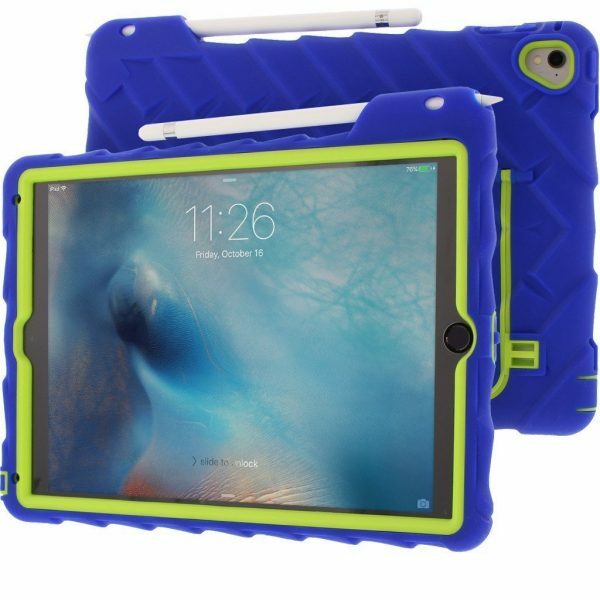 Casecrown Bold Standby Pro Apple iPad Pro 9.7 Case: If you are prone to spillages, the Casecrown Bold Standby Pro Apple iPad Pro 9.7 Case is a safe choice with its water resistant (not waterproof) exterior. The other highlights include a multi-angle stand, smart auto wake/sleep, Apple Pencil holder etc. 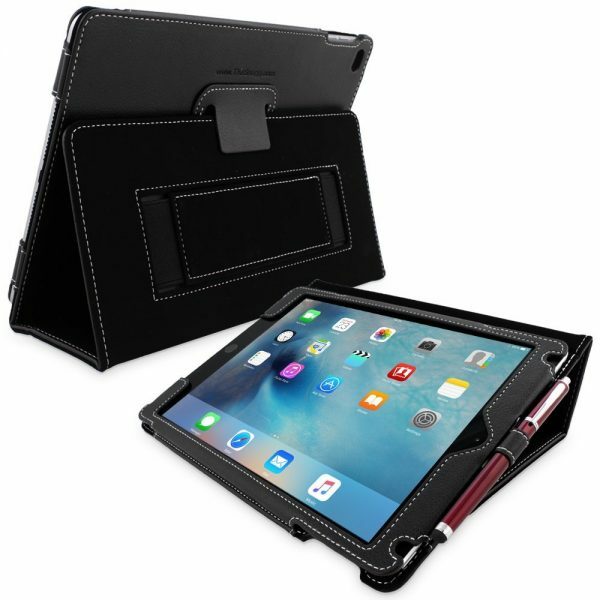 The Casecrown Bold Standby Pro Apple iPad Pro 9.7 Case is available in 9 different colors. 13. 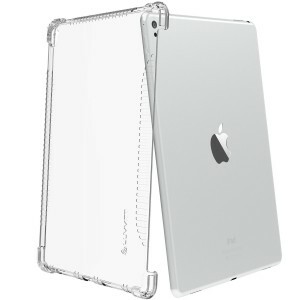 Luvvitt Clear Grip Apple iPad Pro 9.7 TPU Cover: The Luvvitt Clear Grip Apple iPad Pro 9.7 TPU Cover keeps the original design intact and offers amazing grip, drop protection. The air cushion bumpers provide adequate drop protection to the iPad Pro 9.7. 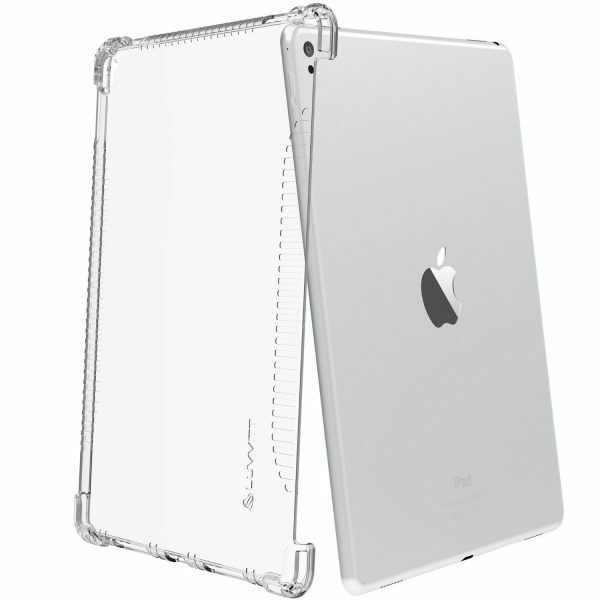 The Luvvitt Clear Grip Apple iPad Pro 9.7 TPU Cover is compatible with Apple Smart Cover. 14. 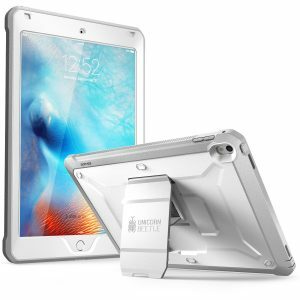 JETech Apple iPad Pro 9.7 Case: The JETech Apple iPad Pro 9.7 Case is ultra-slim, lightweight and very easy to install/remove. The JETech Apple iPad Pro 9.7 Case is available in 7 different colors. 15. Moko Apple iPad Pro 9.7 Case: The Moko Apple iPad Pro 9.7 Case looks good and the 360-degree rotating swivel lets you view the iPad Pro 9.7 in both portrait and landscape orientation. The Moko Apple iPad Pro 9.7 Case is available in 12 different colors and designs to choose from. These are the top 10 best Apple iPad Pro 9.7 cases and covers.